The Water Distribution Department provides the support for all Water delivery and Sewer systems in the town. The Town of Maiden purchases its water from the Town of Hickory because the Catawba River Basin has greater flow capacity than Maiden Creek. During the drought of 2002 Maiden Creek experienced flow levels that could not support the Town's water needs. 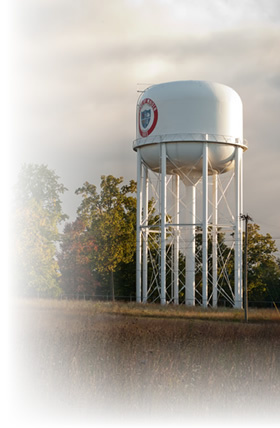 The Town of Maiden uses approximately 1.5 million gallons per day, with the capability of 3 million gallons per day. You can find the annual CCR Report HERE.